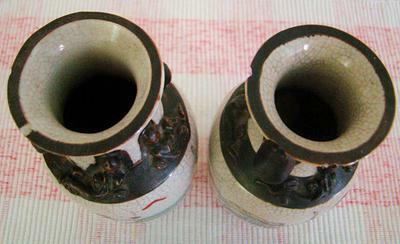 These are Chinese Fangge vases. 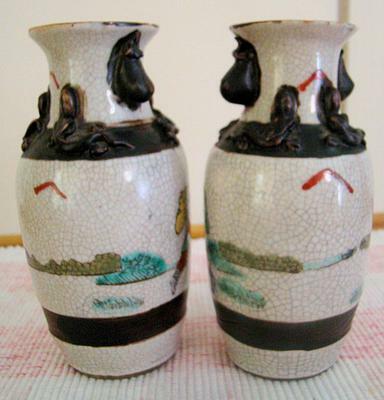 Fangge vases are all coming with crackling. This one is likely from republican period.